Whether you like to kick back and relax, or try every new adventure under the sun, Mexico’s Riviera Cancun is a wonderful vacation spot for every type of traveler! Now Jade Resort & Spa and Now Sapphire Resort & Spa both offer world-class spas and restaurants, breathtakingly beautiful locations and plenty of beach and pool lounge areas, which are great for a relaxing vacation experience. 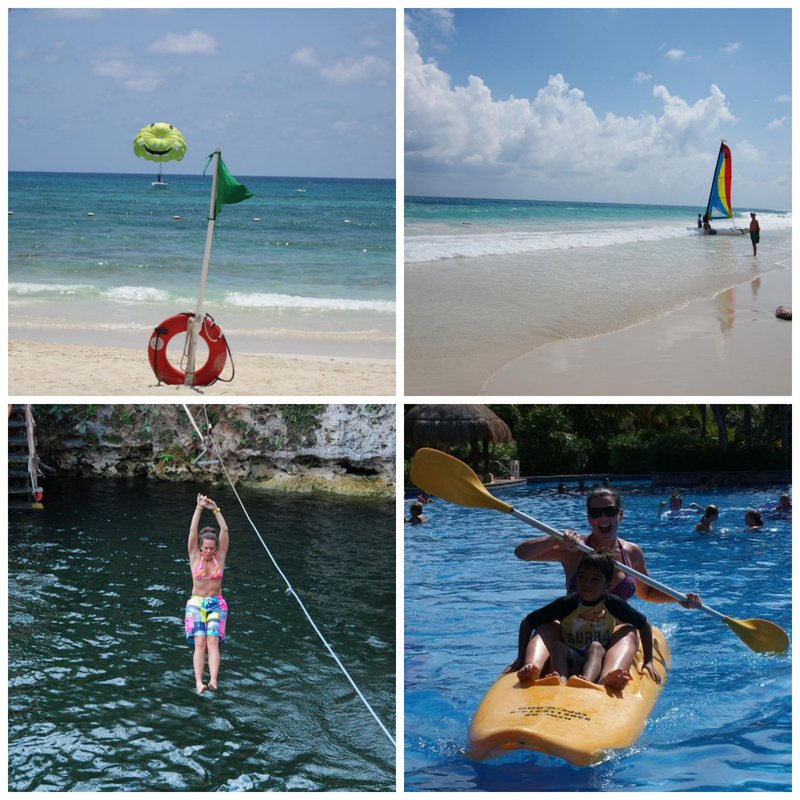 They also offer a ton of land and water activities on site and extraordinary options for adventures outside of the resort. Now Jade Resort & Spa and Now Sapphire Resort & Spa offer guests the luxury of being in the midst of some of the world’s greatest natural wonders. The world’s second largest barrier reef is just off the coast of both resorts. This makes snorkeling and scuba adventures in the Riviera Maya experiences of a lifetime. For guests that like to stay above the water, each resort offers different fishing outings, windsurfing and kayaking activities. Close by, guests can also visit the natural wonders of the Xel-Ha freshwater lagoons– located 54 miles from Now Sapphire Resort & Spa and 22 miles from Now Jade Resort & Spa. Guests are also in close proximity to Xcaret, an archaeological park in Cancun’s Riviera Maya. Xcaret is 24 miles from Now Sapphire Resort & Spa and just 9 miles from Now Jade Resort & Spa. Now Spas by Pevonia offer a wealth of luxurious options that are sure to take you on a journey of body and soul. There are several different types of facials, massages and other body and beauty treatments to choose from. Some of our favorites are the Luminous “C” & Sea Facial and the Sabai® Mineral Therapy, which are offered at both Now Resorts & Spas in Riviera Maya Cancun. To see all spa options and descriptions, we suggest you browse our online menus for Now Sapphire Resort & Spa and for Now Jade Resort & Spa. The world-class spas ensure a relaxing and tranquil ambiance to enjoy a variety of spa treatments. At Now Resorts & Spas guests also have access to several different dining options, with each resort offering restaurants with French, Asian, Mediterranean, seafood and of course Mexican options. Whether you like a calm experience full of wonderful gourmet food, endless pampering and relaxation, an adventurous experience trying new sports and seeing new places, or enjoy a nice mix of both, Now Resorts & Spas of Cancun’s Riviera Maya are sure to give you a wonderful selection to make your vacation the experience of a lifetime. This entry was posted in Now Jade Riviera Cancun, Now Resorts & Spas, Now Sapphire Riviera Cancun and tagged Activities, adventure, Now Jade Riviera Cancun, Now Sapphire Riviera Cancun, Riviera Cancun, riviera maya, spa, things to do, travel tuesday. Bookmark the permalink. I have joined your rss feed and sit up for searching for extra of your fantastic post.